GM announced Monday that it has no plans to produce vehicles in Oshawa after December 2019. 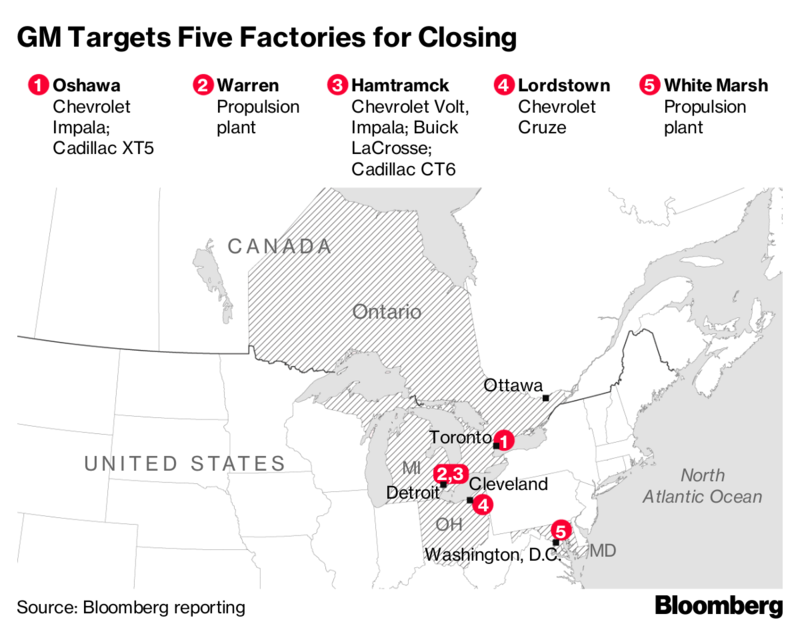 The company said five facilities in North America, including the Oshawa plant, are on the chopping block as part of a sweeping global restructuring plan that will transform its product line as it shifts focus to electric and autonomous vehicles. General Motors also faced pressure south of the border Tuesday. U.S. President Donald Trump took direct aim at the company and its chief executive Mary Barra via Twitter, threatening to cut subsidies, including those the company receives for electric vehicles. In regards to specific sanctions, White House Press Secretary Sarah Huckabee Sanders told reporters on Tuesday that the president is "looking into what those options might look like." GM later said in a statement it is committed to having a "strong" manufacturing footprint in the United States. 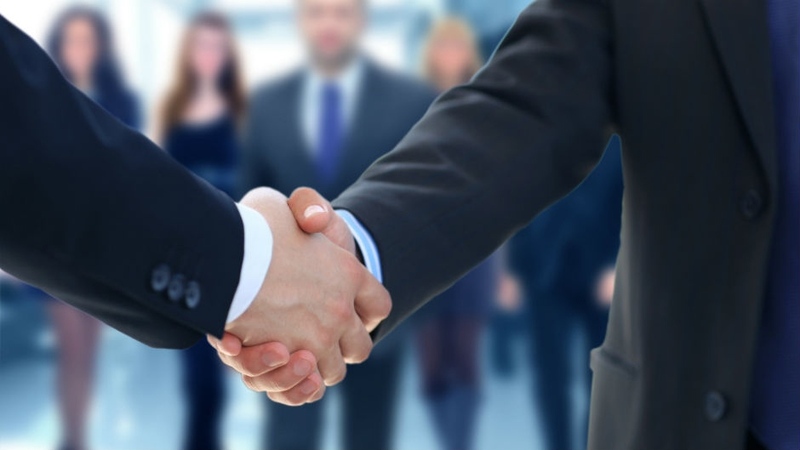 "[Monday's] announcements support our ability to invest for future growth and position the company for long-term success and maintain and grow American jobs," the company said in its statement. "We appreciate the actions this administration has taken on behalf of industry to improve the overall competitiveness of U.S. manufacturing." Dias also called for tariffs on GM vehicles imported to Canada from Mexico, saying such a measure would be the best way to push the automaker to change its decision. “If Canada and the United States said to General Motors that we would slap 40 per cent tariffs on all of your exported vehicles from Mexico to Canada and the United States, you would get their attention very quickly,” he said. Trudeau is willing to join the fight against GM, Dias told reporters. “The prime minister doesn’t view this as a fait accompli and he’s going to roll up his sleeves and fight with us, and that’s what we want from him,” Dias said. Dias also reiterated that Unifor is willing to organize mass walkouts at GM’s U.S. and Canadian plants in order to send a message to the company. He had announced that measure earlier in an interview with BNN Bloomberg’s Greg Bonnell on Monday. Should governments ever chip in on major investment decisions by businesses?